The umpire called a balk and Florida pitcher Matt Turner didn't like it. The result in this July 1993 game: The winning run was allowed to come in to score, according to The Associated Press. "I think it was a terrible call to end a game like that," Turner told The AP afterward. "I stepped off on my left foot. He said I broke my shoulder toward the plate. I don't know if he was too hot and tired behind the plate and wanted to get the game over with." Turner later dealt with a different terrible call, the kind that came from a doctor and the kind where the implications were a lot bigger than a lost game. Turner was diagnosed the next summer with Hodgkin's disease, a kind of cancer. While he dealt with it and came back to take the field again, he never returned to the majors. 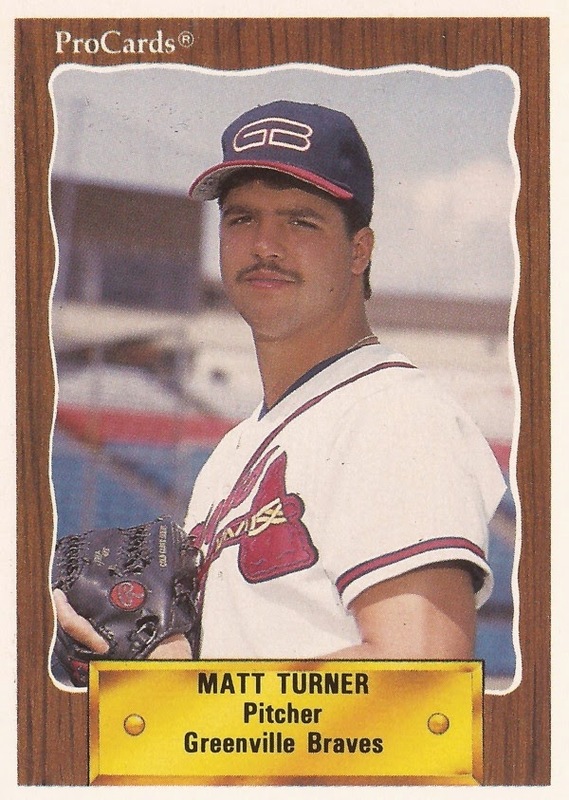 Turner's career began in 1986, signed by the Braves as an undrafted free agent out of Middle Georgia College. Turner started with the Braves at rookie Pulaski. In 18 outings, five starts, he had a 4.62 ERA. He moved to single-A Sumter for 1987. He then didn't make AA until 1990, assigned to Greenville. Turner split his 1990 campaign between Greenville and AAA Richmond. Between them, he got into 62 games, mostly in relief, with a 3.12 ERA. He moved to the Astros and AAA Tucson in mid-1991, then to the Marlins as a free agent for 1993. It was with Florida that Turner made his major league debut. Turner's first game with the Marlins came April 23 against the Rockies. He went an inning and gave up just one hit. Overall, he got into 55 games for the Marlins that year and posted a 2.91 ERA. He also picked up four wins to five losses. He was traded to the Indians for 1994. He logged nine games that April for Cleveland, turning in a 2.13 ERA. It was in May that Turner was diagnosed with Hodgkin's disease. Indians GM John Hart indicated doctors told them there was a good chance of remission, according to The AP. After the surgery Turner told The AP he his aim was to get through his chemotherapy and return to the majors. "My goal is to pitch for the Cleveland Indians during the 1995 season and to demonstrate to my teammates what a healthy Matt Turner can do," Turner told The AP. Turner returned to the field for 1995, but he didn't return to the majors. He got into 13 games for AAA Buffalo, then missed all of 1996 injured. He played 1997 with independent Sioux City. He returned to affiliated ball for 1998, getting 41 games at AAA Omaha with the Royals, but he didn't see Kansas City. His final recorded time on the field came in 2000 in Mexico. He played for Cancun and Monclova, ending his career.